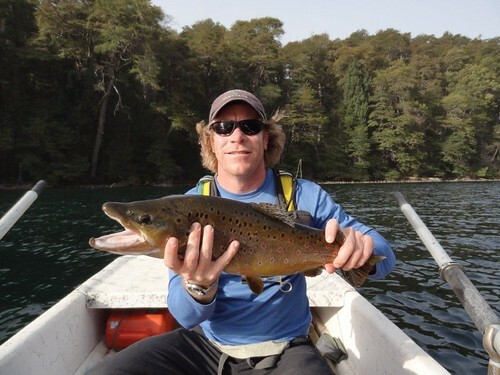 Marcus Baughman shows off a huge Argentina brown trout with brilliant red spots. 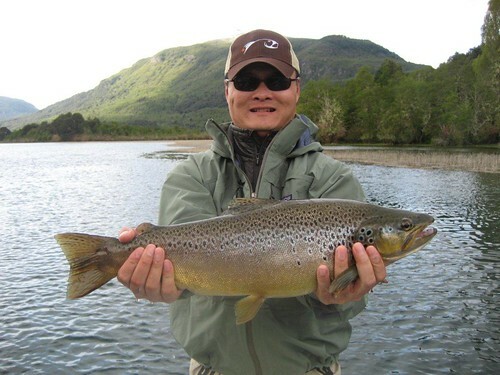 Roberto Pandolfi of Rio Manso Lodge sent us a few recent images of Orvis customers fishing. Rio Manso is about 90 minutes south of Bariloche, Argentina, and there was a volcanic eruption in neighboring Chile last year that temporarily closed the airport. However, it’s clear from these photos that the ash didn’t hurt the fishing. 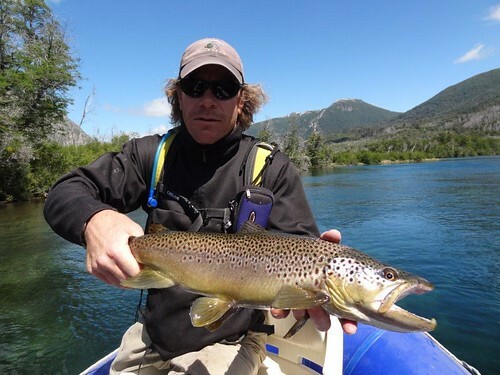 It was a relatively warm, dry summer in Patagonia, and the fishing was sporadic, but as you can see, Marcus Baughman and John Walton did pretty well. John Walton’s lunker looks extremely well fed. This sleek river fish isn’t as fat as the lake monsters above, but it’s a beauty nonetheless.